While there are places that you can buy fly fishing equipment in Montana, you should consider purchasing a fly fishing rod before you take your trip. If you a veteran fisherman, you already know this: your fly fishing gear—waders, rod, reel, and all—should become like an extension of your body, so you need to choose it carefully. Also, different types of equipment are more suited for catching different fish or for different environments. Use the guide below to help you purchase a rod for your guided fishing trips. 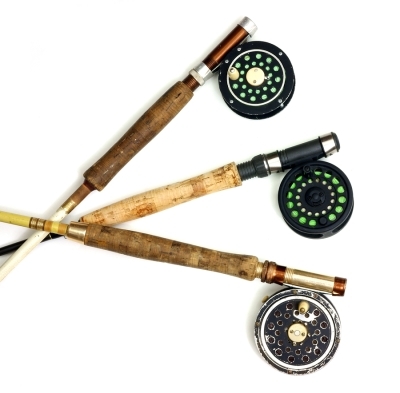 Modern fly rods are made from a variety of different materials. Bamboo is perhaps the most traditional, though it is not the supplest material. Bamboo is suppler than fiberglass, however—this man-made material is suited to a slower casting style, and close-quarters fishing. Graphite, the most modern material, is light, strong, and extremely supple. The material you choose will depend on your personal casting style, though if you are a beginner, a graphite rod is a good choice. The size and style of the grip will depend on the weight of the rod you are using. With a very lightweight rod, you should use an ultrafine or cigar grip with a pronounced downward taper. If you are a using a rod of medium length and medium weight, choose a half-wells grip, which is not as tapered. Reverse half-wells grips and full wells grips are best with the heaviest rods. The staff at a fly fishing equipment store can help you match a grip to your rod. Rod flexion will largely depend on what material the rod is made from. Tip-flex rods only bend on the third furthest away from the handle; mid-flex rods bend near the halfway point, and full-flex rods bend all the way to the grip. A rod’s “action,” fast of slow, refers to the unloading speed of the line. First-time fly fishers should consult with the staff at their fishing lodge before their trip to determine what types of rods and casts are most commonly used in the area.